Never underestimate the power of a heartfelt thank you message. 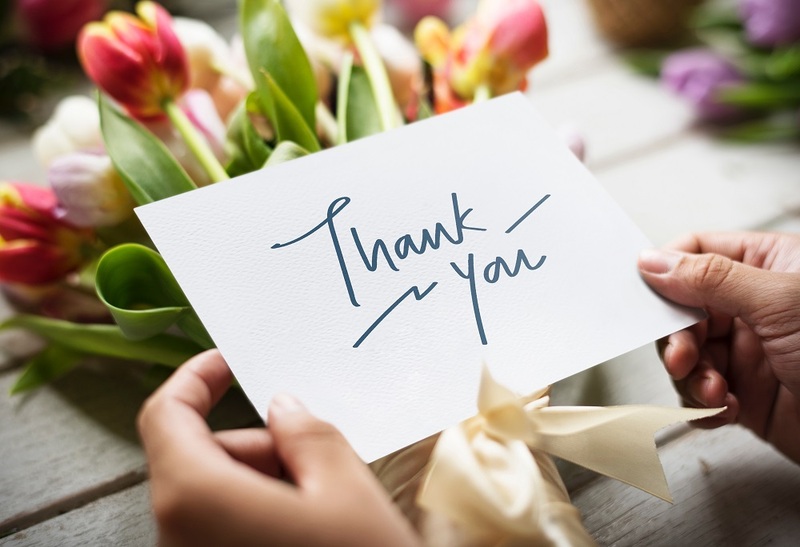 Expressing your gratitude to a person in a personalized way is a surefire action to make his or her day. When people realize they’re not taken for granted, it really changes their world. Open the message with “Dear …”. It’s a standard way to address people whether you have a close relationship with them or not. Use the proper salutation for the recipient. If the recipient is a female and you’re not sure if you should use Mrs. or Ms., go with Ms. just to be safe. * Thanks for helping me. * I am much obliged. * I wish to express my gratitude. * I greatly appreciate what you did for me. The person you say thanks to may not even realize what a big deal it was. He may not even remember it. Be specific and remind him what was it that drives you to write this thank you card. How did the act of selflessness influence your life? When you get specific, it lets the other party know that their action was not left unnoticed. It truly shows how appreciative you are about what they did. It doesn’t have to be one-paragraph short, but if you can keep it brief, there’s no reason to write a whole essay on it. This is your chance to say thank you one more time before you close your message with regards. Word it differently than you did on the opening message. It’s just like when thanking someone in person. Do you not repeat your appreciation before you say goodbye? Saying it twice shows that you really mean it. That’s it for our simple tips on how to write a thank you message. But before we part, let us warn you about one thing: If you are writing a thank you email to a business colleague or someone you respect highly, be sure to check for any misspellings. Proofread your email at least twice before you send it. Better yet, run the email content through the nifty spelling checker. Let it help you avoid the awkwardness of sending misspelled email messages. ‹ Dashes and Hyphens – They’re Different, You Know?